John Tarrant’s 13-year-old son has been kidnapped and the boy’s screams down the telephone demonstrate that his abductors are deadly serious. The mysterious mastermind behind the crime calls himself ‘Drabble’ and wants a ransom of £500,000 worth of uncut diamonds but Major Tarrant, a junior officer in British military intelligence, does not have access to such wealth. There has to be more – much more – behind the kidnap gang’s demands. 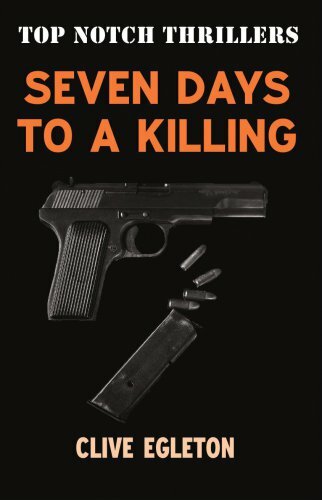 Tarrant has seven days in which to solve the puzzle and save his son, all the time at the mercy of the kidnappers and the political intrigues of his own side. Seven Days To A Killing was filmed as The Black Windmill by Don (Dirty Harry) Siegel, starring Michael Caine, Donald Pleasence and Janet Suzman.